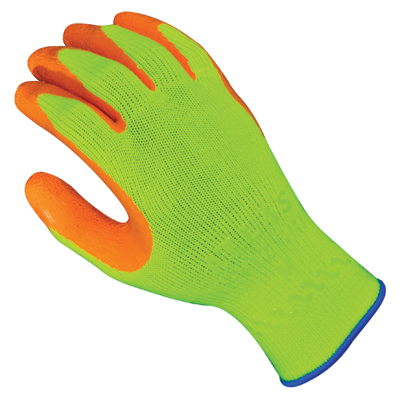 Home>Hand Protection Products>Coated, Laminated & Dipped Gloves >Showa Atlas Hi-Vis Grip 317/Sold by the dozen. Showa Atlas Hi-Vis Grip 317/Sold by the dozen. 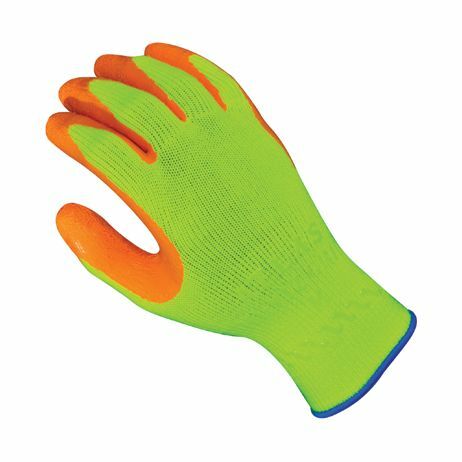 Showa Atlas Hi-Vis Grip 317 This palm-dipped Natural Rubber glove provides durable protection without sacrificing long-wearing comfort. Combining a Hi Vis yellow liner with an orange palm coating this glove is ideal for applications that demand Hi Vis hand protection. The orange wrinkle coating provides extra gripping action. An elastic knit-wrist secures the glove above the wrist for comfort and preventing debris from entering the glove. As an added feature the glove markings are luminous and actually glow in the dark. When your job demands abrasion resistance and gripping power while maintaining maximum dexterity choose Showa Atlas Hi-Vis 317. Launder at 40ËšC (104ËšF) using a neutral detergent. Suggested Applications: • Construction • Landscaping • Mechanical and Automotive • Maintenance • Waste Treatment • Garbage Collection • Highway Work • Mining • Shipping and Receiving Sold by the dozen!